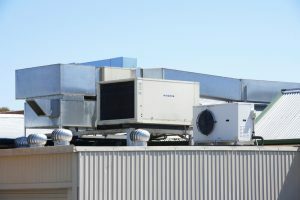 In the HVAC industry, rooftop units are also known as “packaged units” which is different than a split system which is the most common type of air conditioner found in a residential home. With a rooftop packaged unit, all the components are on the top of the building together instead of in two separate components (one indoor and one outdoor). The rooftop unit connects directly to the building’s ventilation system to circulate air. Most new air conditioners are quieter than their older counterparts anyway, but they still make a distinguishable amount of noise. Roof-mounted commercial air conditioning systems are even quieter because, well, they’re on the roof. This location is completely out of earshot. One of the biggest advantages of a rooftop system is the ability to tailor your heating and cooling to your needs. If you redesign your business, add tenants, or add on to the space you can easily move or add modular rooftop units depending on your heating and cooling load requirements. You can even provide heating and cooling while the system is repaired or maintained. When a building has multiple units on the roof, it’s also easier to tailor the heating and cooling needs to one specific section of the building. Comfort isn’t one size fits all, especially not in a large space, so take advantage of the flexibility of a modular unit. You’ve probably spent a good amount of money on the space your commercial business is in or the land it’s placed on. Space is a commodity, so save somewhere you can. 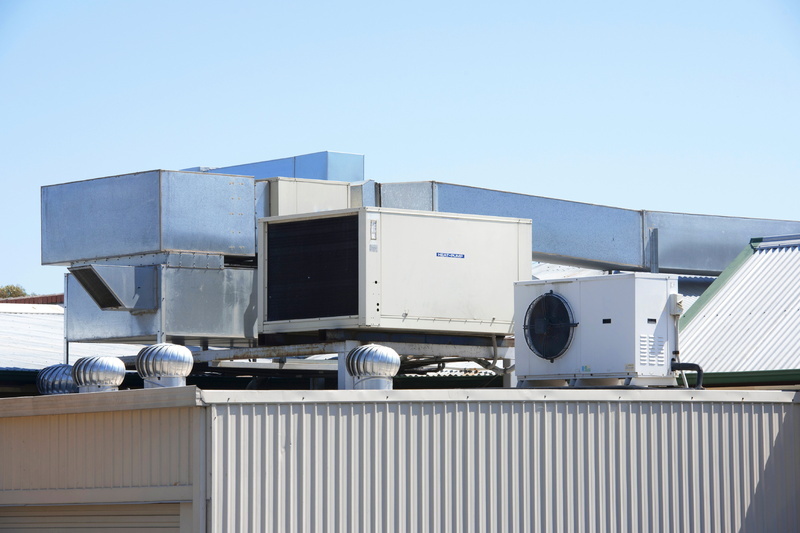 A rooftop HVAC system frees up space, so you can use it for other, more useful components in your building. You’ll need maintenance at least once a year and it’s highly likely that you’ll need repairs sometime within your system’s lifetime. When your commercial building has rooftop units, a technician has easy access to these modules even during business hours—you’ll never have to disturb your employees or customers. At Fulmer Heating & Cooling, we understand the commercial HVAC business and how to professionally install, maintain, and repair rooftop units. We understand how important the comfort of those inside your commercial space is to your bottom line. We have more than 30 years in the heating and cooling business, we’ve grown because of our quality products and commitment to superior service at a reasonable price. We serve homes throughout South Carolina and understand the unique needs of the area. We can help your business succeed. If you need commercial HVAC services, contact us today to schedule a service.